ALEX COLLIER’S SIXTY-FOURTH WEBINAR NOW AVAILABLE ON-DEMAND! Alex Collier was live via video stream on September 7, 2018. His SIXTY-FOURTH 90 MINUTE *LIVE* webinar including over thirty minutes of questions and answers. Hosted by James Harkin from AlexCollier.org and JayPee from WolfSpirit.tv (a subsidiary of WolfSpiritRadio.com) Alex presented some great insight into what is happening in this world and beyond. The webinar was hosted on Friday, September 7, 2018, at 2pm EDT. Alex Collier discusses many topics in this webinar including: Historical personages, current state of affairs. Funds from this video stream will be given to Alex Collier and help us bring you, Alex Collier, regularly. Please do not miss this amazing opportunity to see Alex Collier on video-stream and of course provide him with some income. The webinar replay is just $3.69 for 72-hour rental or just $9.87 for unlimited rental and download. You can pay by credit or debit card or PayPal. Alex Collier – Webinar 64 – September 7, 2018 from LWO (c/o James Harkin) on Vimeo. Alex Collier claims to be Andromedan contactee. 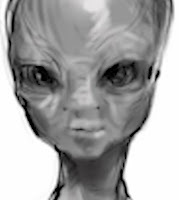 Andromedans are benevolent human extraterrestrials from constellation of Andromeda. The contacts with this ET race started in 1964, when Alex was a little boy. In 1985, the contacts became more frequent, and he was given information about: different ET races, who have visited Earth one time or another, our genetics composed of 22 different ET races, our spirituality, Earth agenda, secret government aka ''Illuminati'' or ''New World Order'', our religions and the history of Earth and our Universe. Alex Collier 2016 - Great interview with Alex Collier. Thank You for subscribing Starseeds channel! All best news every day! Don't miss it! Subscribe like and share!